MARQUETTE — The Marquette Senior High School varsity softball team is getting closer each game. Closer to a victory, that is. 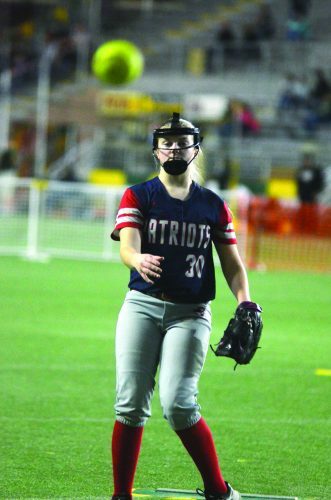 After an 0-2 start to the 17th annual Spring Swing tournament on Friday with a 13-4 loss to Westwood and 2-0 setback to Hancock, the young Redettes roster comprised of just two seniors had itself in a position to win Saturday’s contest at the Superior Dome. 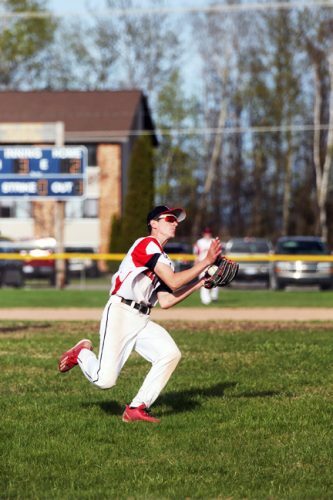 Taking a 4-3 lead into the fourth and final inning, MSHS was unable to hang on, falling 7-4 to Bonduel, Wisconsin, in a game cut short due to time constraints. In order to accommodate and ensure all teams receive playing time, each game in the event was limited to 75 minutes if unable to go the full seven innings. With runners on second and third in the bottom of the fourth, the difference for the Bears was Mackenzie Moore. Bonduel’s top-of-the-order hitter knocked a double to left field, scoring teammates Joanie Wudtke and Alison Renner to put the Bears in the lead 5-4. 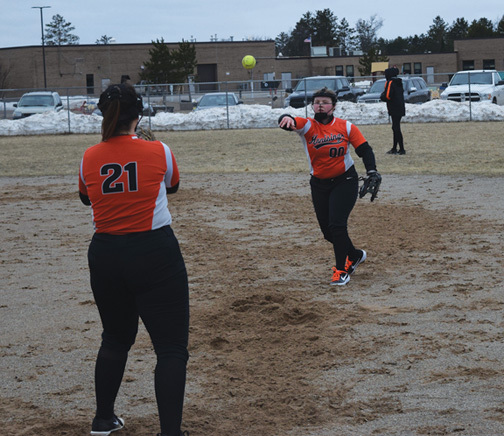 Sophomore pitcher Rayna Warchock had an impressive start on the rubber, striking out four over three innings before allowing the go-ahead double in the fourth. That, combined with the MSHS offense leaving the bases loaded twice, was the downfall, according to head coach Paul Seibert. “Rayna threw really well that game up until the last inning,” he said. “She’s a sophomore, so that’s going to happen sometimes, but we’re trying to work through that and trying to get her to stay focused and not worry about it. “We left a ton of runners in scoring position, I think 10 or 11 total. Probably seven of those were in scoring position. Those are things you can’t do. You’re not going to win many games when you leave that many runners on, and a lot of them were with our big hitters up. “We chased some bad pitches, but it’s early in the year and we’ve talked about how we’ve got to fix those things and I think we will. We’ll get those all ironed out and we’ll be fine eventually. The Redettes took a 2-0 lead in the top of the first inning, getting the bats going early with three hits from junior Maiya King and seniors Lexi Trombley and Taylor Myers. Myers hit a double to left field, scoring Trombley and King. Later on, up 2-1 in the top of the third with Myers on base, MSHS junior Maddie Carter stepped up to the plate and cranked a two-run home run to right field upping the Redettes lead to three. The Bears pulled within 4-3 in the bottom half of the frame on a ground-rule double to center from Taylor Luepke, scoring McKenzie Wollenberg and Julia Lorbiecki. 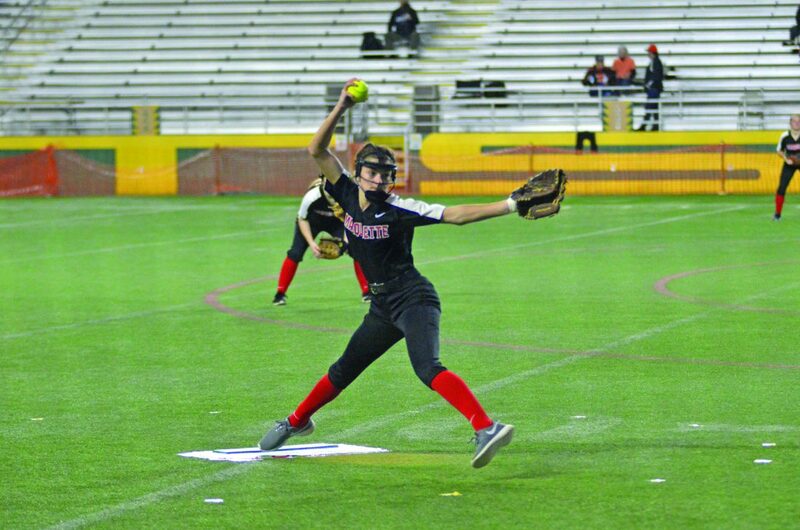 In the top of the fourth, the Redettes had a chance to pad the lead with the bases loaded for the second time in the game, but a ground-out at first base from Carter ended the scoring threat. The Bears capitalized in the bottom half with the Moore double. Warchock allowed one more run on a passed ball, which allowed Moore to swipe home plate, making it 6-4. Warchock was then replaced by junior pitcher Amanda McIntire, who also allowed a run on a wild pitch while striking out two. 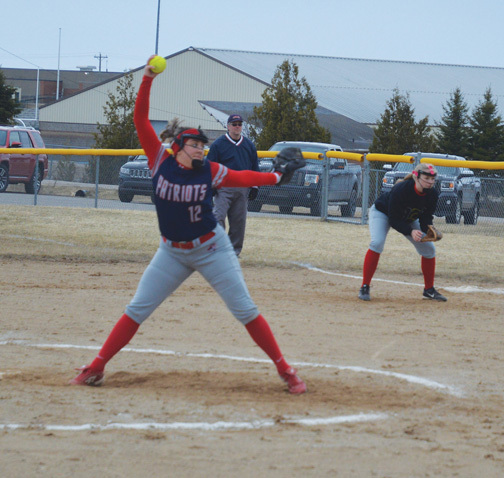 Claire Gehm went the distance on the mound for Bonduel, fanning three Redettes. Myers was 2 for 2 at the plate with a walk while Trombley was 2 for 3. Despite the 0-3 start to the season, Seibert was happy. 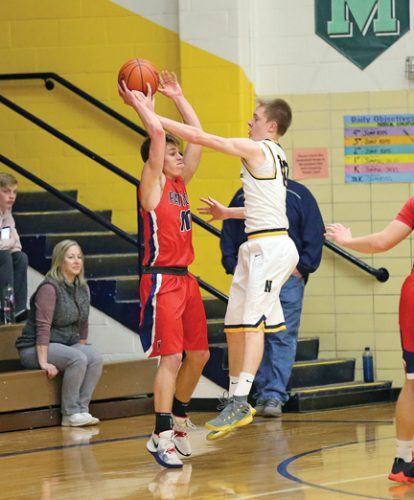 Marquette’s next scheduled game is at Bark River-Harris on Monday. After that, the team plays in the Gladstone Invitational tournament on Saturday, weather pending. “Hopefully we can get those in and just go from there,” Seibert said.